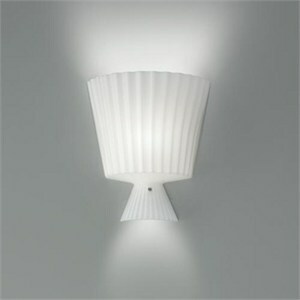 Wall fixtures with knife pleats of blown glass available in gloss white, gloss red or gloss lime green diffuser. Metal structures with white painted finish. Pendant, table and floor designs are available.